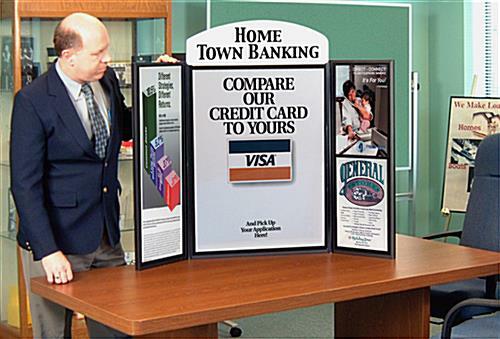 These demonstration boards for tabletop support professional projects and product demonstrations is the go-to travel accessory for business people and teachers. 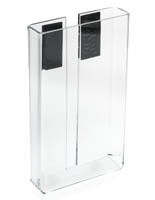 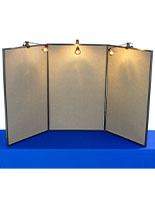 These fixtures are great for a science or college fair, or business presentation, with black fabric that complements hook and loop fasteners that are easy to update, and update again. 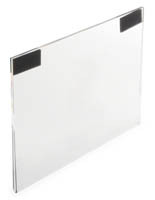 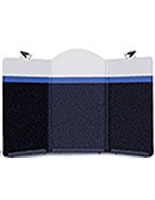 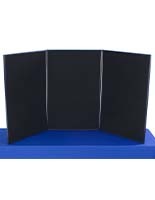 These demonstration boards is a briefccase presentation tool that folds down for easy transport. 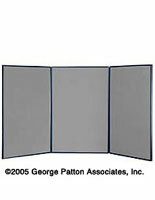 These boards for tabletop include a custom header with 1 or 2 color logo/text on a white backdrop. 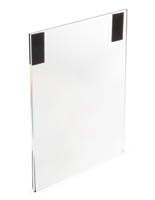 This unit weighs just 10 lbs. 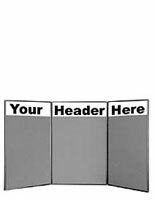 The display header is approximately 22.5"w x 7"h. Please review the board with header text/artwork guidelines before ordering. 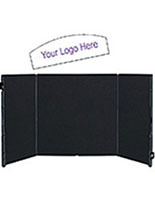 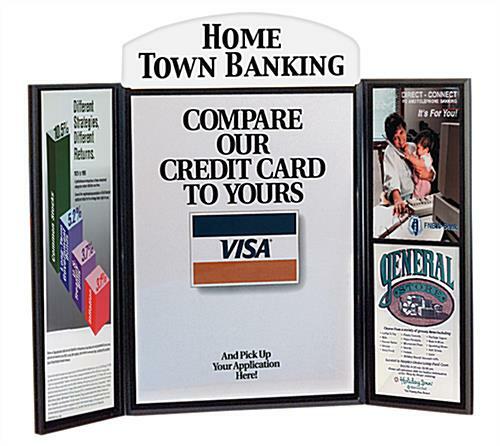 Brochure holders and sign frames can be attached to the display. 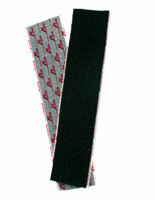 Check out our hook and loop attaching accessories for ideas.